Heroes, Heroines, and History: Time Zones, Trains, and a Giveaway! Time Zones, Trains, and a Giveaway! What time is it? Throughout most of history, this question was answered according to the position of the sun. When the sun was overhead, everyone in the village knew it was noon—even before the technological advent of a town clock or pocket watch. If one traveled, it was understood that an adjustment must be made to one’s personal timepiece. But when the railroad came along, the times, as they say, started changing. Literally. By the early 1880’s, there were more than 300 time standards in the United States. In addition, each train station set its own time standard, and oftentimes, it didn’t match the local solar time of the town it was in. Even if the time standards did match, published timetables listed dozens of arrival and departure times for the same train, each referencing a different local time zone. The railway station at Chicago boasted multiple "official" clocks, each bearing a different time. Passengers and employees alike were frustrated and confused. To keep trains running, a more efficient, uniform system of telling time was required. The railroad companies were so powerful at this time they could avoid the U.S. and Canadian governments and set their own time standards. They created over a hundred of them. As one can imagine, it didn’t help much. Fleming proposed the earth's division into 24 time zones, one for each hour of the day, spaced fifteen degrees longitude apart, since the earth spins fifteen degrees every hour. Fleming’s idea met some resistance. 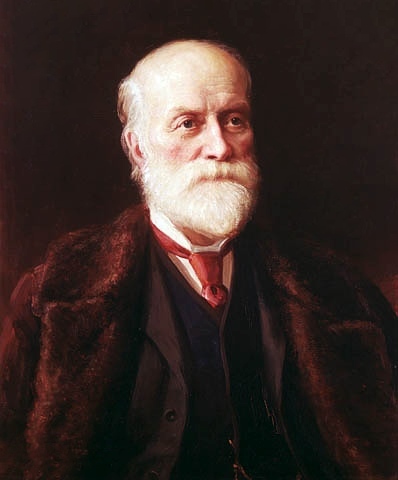 It took five years for U.S. railroad companies to abandon the hundred time zones they'd been using to implement the handful Fleming proposed, but the change became official on November 18, 1883. The continental U.S. was divided into Eastern, Central, Mountain, and Pacific time zones—for railroad purposes, at least. Many citizens in both countries followed the new time standards, since railroads were such an important part of their lives. However, not everyone did, and it took another 35 years for the use of Fleming's time zones to become mandatory in the U.S.
Perhaps one reason folks hesitated was a resistance to the tremendous power the railroads held. Others may have assumed the notion wouldn’t stick, or would prove too difficult to observe. After all, condensing 300 local times zones to 4 was no minor undertaking. Nevertheless, all U.S. states complied when Congress passed the Standard Time Act of 1918. Time still fluctuates for us. Time zones shift to form new borders, daylight savings is debated, and we still watch the sun. But next time you hear a train whistle, you’ll know that’s how the time was set. 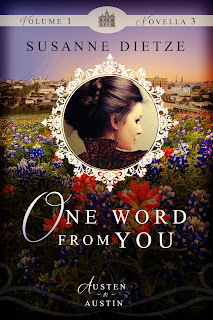 Railroads and time zones have a part to play in my upcoming novella, One Word from You from the Austen in Austin Volume I Collection, which releases January 15 from White Fire. I’m offering an e-book of the collection to one randomly chosen commenter at the end of the post. In your comment, share about a train travel experience you've had...or would like to have. I'll tell you one of my favorite train experiences, too! If you share this post on Facebook or Twitter, let me know in the comments and I’ll give you an extra entry—but please include your email address in your comment so I can contact you! Giveaway ends 1/8/16 at 11:59 p.m. Pacific Standard Time. Each novella is available individually, too. Susanne Dietze began writing love stories in high school, casting her friends in the starring roles. Today, she writes in the hope that her historical romances will encourage and entertain others. 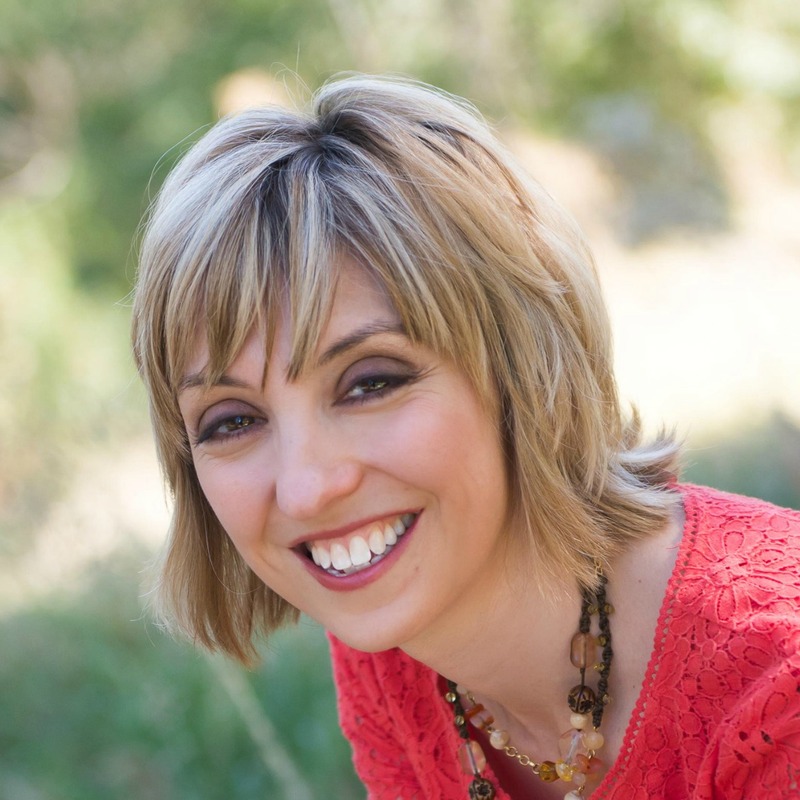 A pastor’s wife and mom of two, she loves fancy-schmancy tea parties, travel, and curling up on the couch with a costume drama and a plate of nachos. 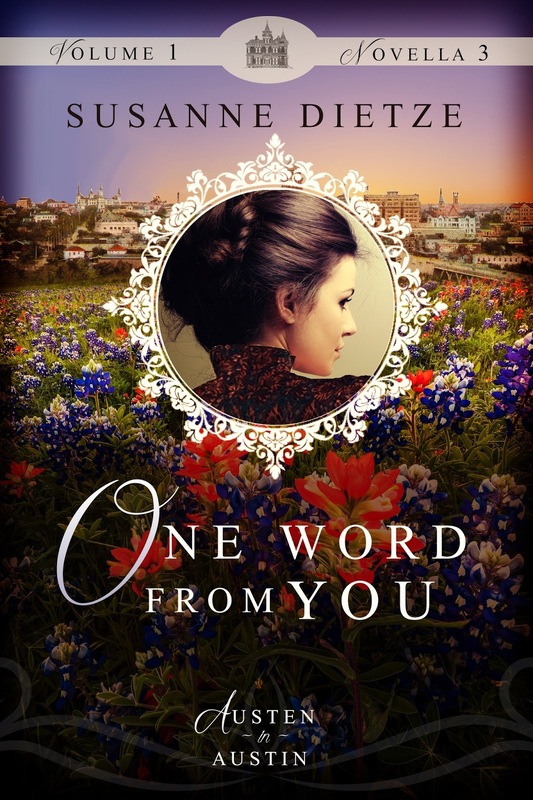 Susanne is the author of five new and upcoming novellas; her newest, One Word From You, is in White Fire’s Austen in Austin Volume I. When I was a little girl my girl scout troup went on a train ride. It happened to be my birthday which made it even more exciting. Unknowingly, after I got home from the ride, there was a knock at the front door and when I opened it, the Girl Scout troup was there shouting "Happy Birthday" for a great surprise birthday party. What an amazing day that must have been, Melanie! A memory to treasure, that's for sure. I bet your girl scout troupe was tickled to wish you Happy birthday like that, too. I'm so glad you came by today. Thanks for sharing your sweet train story, and for entering the drawing! My girl scout troop also went on a train ride! My grandfather worked in the roundhouse at the railroad yard in Rochester, N.Y., and I grew up loving trains. Still do! This is really fascinating information about time zones. And of course I'm not surprised we have to thank a Scot for it. How cool about your grandpa, Deb! I'd love to learn more about him and his job. Sounds like a good potential blog post! So glad a fellow Austen in Austin author could come by and celebrate today! This book is a dream come true. Hugs, Deb! When I was an Extension Home Economist, I took our home demostrators ladies on the Amtrac, from Oklahoma to Gainesville, TX. What a hoot those old ladies were! There's even speed limit signs. What a fun trip, Melody! I love Amtrak--and riding the train can be such a social thing, perfect for spending time with others just as you did. I used to ride the train to college through Los Angeles, and those commuters were not social! lol. You're entered into the drawing. Thanks so much for coming by! My husband and his father always had model train layouts when we were first married, they even belonged to a club. I started doing train puzzles and at one time our living room was full framed puzzle 'pictures' and model trains. I have even ridden on "Thomas the Train" once, just for/with my grandson, lol. This book sounds like one I could really get into. Wendy, my dad is a model train enthusiast, too! I grew up being on close terms with the hobby shop owners--they were used to seeing us kids tag along with my dad. Fun memories! Never got to ride Thomas the Train, but we certainly watched his videos when my kids were small. Thanks for coming by! You're entered into the drawing! This past summer, my family went on an unforgettable trip that included the Grand Canyon Train. It runs from Williams, AZ to the Canyon. What a blast! En route, we were serenaded by cowboys; entertained with magic tricks; and feted with snacks. Then you pull into the station and can see the Canyon just beyond.... We'd never seen it, and it was breathtaking, of course. The whole trip was such a blessing. 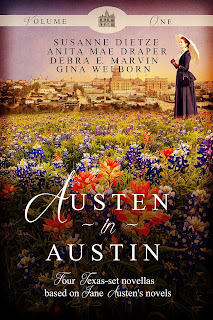 Just a reminder...Austen in Austin Volume I will not release until January 15. I don't have author copies quite yet, so the winner will not receive a copy for a few weeks. Thanks for your patience! Hi Heidi! I like when you can flip the seats around on a train, too. Makes conversing easier, plus you get a little different view! That sounds fun. So glad you came by! You're entered into the drawing. Have a great day! I've never ridden a train. I would love to ride the train from Durango to Silverton, Colorado. 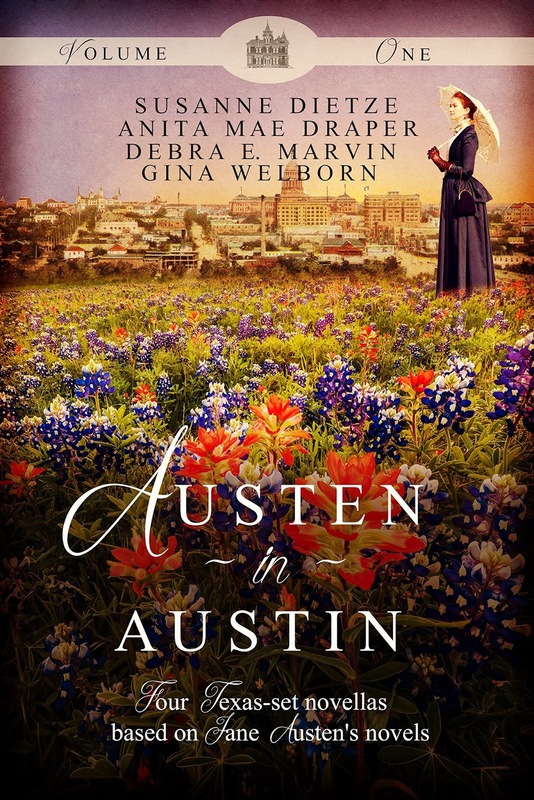 I am so excited for the release of AUSTEN IN AUSTIN! Thanks for the giveaway. Oh, Caryl, I know just the train you mean! I spent a night in Durango at a hotel right on the rail line! That train looked so fun. I hope you get to go sometime! I've seen photos and the trip looks amazing! You're entered into the giveaway. Thanks for coming by! O, I love trains! I'm so enamored by its history and how it came together. It was the trains that help expand our country westward (at least faster). I love stories of travel in historical novels. Not only that, modern day bullet trains are interesting too. That would be the experience I'd share today. In Japan, I took the bullet train in Tokyo and if you think trains in NYC during rush hour was sardine packed, try being on a bullet train that speed was what it's named for. The funny thing was no ONE lost their footing! I had a slight ringing in my ears and when I looked around, no one was enjoying scenery, because you can't see. It's like art. However, I'd prefer the train rides where you can enjoy the view outside. With that said, everyone should check out the B&O train & railroad museum in Baltimore. It's amazing!!! With replicas of different types of trains from steam to engine, and a chance to ride an archived train a short distance, it is one of my fave museums. Annie, I've always wondered what it's like to ride a bullet train. What a fascinating experience! (I imagine Tokyo was pretty fabulous, too!) I hope to get to Baltimore someday and would love to visit the B&O museum. I love the railroad museum in Sacramento, but I confess one of my favorite exhibits is on china patterns used by the railroads! Thanks so much for sharing the post. You are entered into the drawing. Thank you! Thanks so much for the giveaway! Also, I shared this post on Facebook. Anna, thanks so much for visiting and sharing the post! Your train trip sounds like a lot of fun. I've never been to the Smoky Mountains but would love to see them. I've heard they're gorgeous. You're entered into the drawing! Thank you so much for coming by! I would love to take a trip by Amtrack, I think it would be a great way to see the country! Haven't done that yet... One fun train ride I took was on the Great Smokey Mountain Railroad in North Carolina. It's a beautiful ride especially in the fall! Oh, that sounds like a delightful trip. What beautiful scenery, and yes, I imagine the autumn views would be spectacular! So glad you shared about your trip. Thank you! You're entered into the drawing, Patty! I love train posts Susie, and this is a good one, however I'm not sure what you meant by the statement, "Canada made the change, too, although Nova Scotia and New Brunswick chose to follow Eastern time." There are 6 time zones in Canada. The 5th one is the Atlantic time zone which takes in the Atlantic provinces of New Brunswick, Nova Scotia, Prince Edward Island, and mainland Labrador. The 6th time zone is Newfoundland. An interesting fact is that Newfoundland time is 1/2 an hour ahead of the rest of Canada as opposed to the normal 1 hr. We grew up listening to programming commercials that said such-and-such was on at a certain hour, and then the announcer would tack on... and half an hour earlier in Newfoundland. Poor Newfoundland was the brunt of so many time zone jokes by kids and adults who didn't understand the system. What I meant in that statement refers to the railroads. In November of 1883, the railroads in Nova Scotia and New Brunswick adhered to Eastern time, not Atlantic. I will delete that portion of the post to avoid confusion. Thanks for sharing the helpful info! I still think train rides are fun. :) We took our kids on a day trip once from Tacoma, WA to Portland, OR. It was fun exploring the city, having Chinese food, walking through Powells, the huge bookstore downtown, then coming home that evening. Fun memories! Thanks for doing a giveaway. Karen, I like riding the train, too. I bet your kids loved that trip. Along the same lines, I'd love to go to Powells. It sounds amazing! My parents just went to Portland and spent a lot of time in Powells! So glad you could come by and enter the drawing! Thanks! Thanks for the history on time zones, I never knew that before. HHH blog never disappoints to teach me something new! I'd love to be in the draw for the book, they look great. I've also shared this on both Facebook & Twitter! So glad to hear you enjoyed the post! Thanks for sharing, too. You're entered into the drawing! I have always wanted to travek by train Ive only been able to thru imagination. Maybe oneday soon! Thanks for sharing your novel. Carla, I hope you get to try a train ride sometime soon! Even a short distance would be fun. I'm so glad you could stop by today. Thank you so much! Had one in utah there an old steam engine that runs just northeast of ogden utah fun to be out were there was no cars, no music just mother nature. That sounds so fun, Kim! Steam engines are so cool. Not easy to find nowadays. Thanks for coming by. Blessings! Until I was in the sixth grade, my father worked for Amtrak as a machinist. However, I can only every remember one train ride and really only a vision of my Dad walking against the sway of the train. A woman (my mentor) from my church recently shared a trip that she took to Banff by train. She recalled it in such a way that it makes me want to take the same journey with my husband. Maybe in celebration of our 12th anniversary coming up this Leap Year Day. I've shared this post on twitter, google+, and Pinterest. Blessings on the release of your new book. Amanda, thank you so much for sharing about your dad! I bet he has a lot of interesting stories from that time in his life. My parents took the train to Banff, so I know precisely what you mean about it inspiring you to go! It sounds gorgeous. Happy anniversary! How delightful to have a Leap Year Wedding! Thanks for sharing. You're entered into the drawing! Congratulations to Anna, whose name was randomly chosen to receive the copy of Austen in Austin! Thanks so much to all who commented and entered. Blessings!